The damage was discovered Sunday morning by another business owner, who reported it around 9 a.m., according to the city of Hillsborough’s website. Local police said the flammable substance appears to have been ignited inside the building, likely from within a bottle tossed through one of the front windows. An investigation is ongoing. 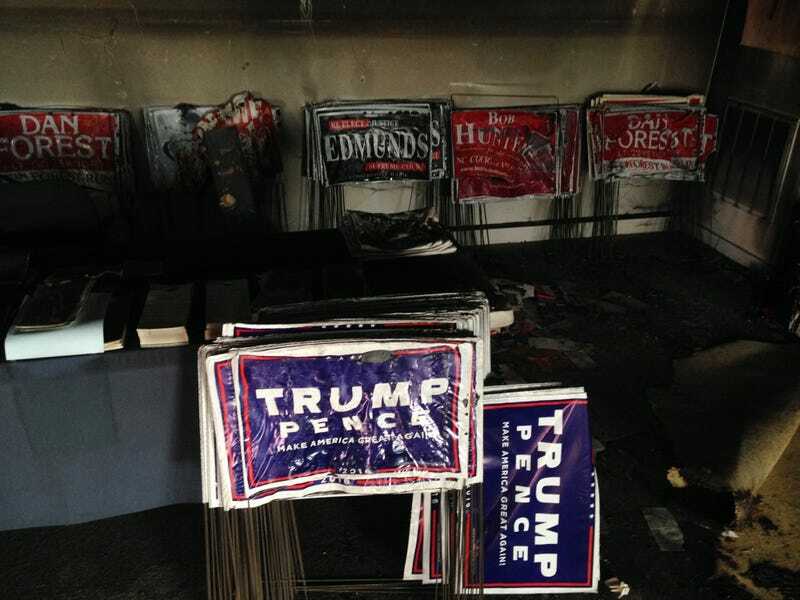 The arson comes on the heels of Trump’s latest invective against the media, which he claims has single-handedly rigged the election against him.